December 14th is a date when practical things are to be achieved and visions are to be brought to life, right here on planet Earth, with a constructive plan and a solid foundation. Growth comes in large chunks and steps, and people born on this date often spin in a loop for a while until they learn a much bigger lesson than they’ve anticipated from the start. They need time to cleanse their world of ancestral residue, for their shadows go deep and often come from a long line of repetition in their family tree. 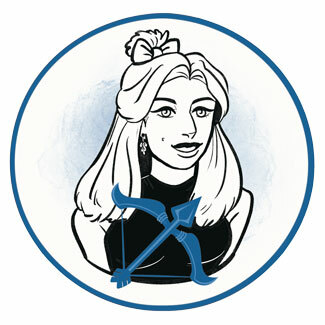 There is a cross that individuals born on the 14th of December bear, that may be tough and heavy, but also giving them structure and confidence to plan ahead and succeed in profession of their choosing. They are responsible and firm in their attitudes, while remaining loyal and dedicated to the work and projects they started themselves. A bit stubborn and sometimes grumpy, their sense of justice needs to be put to good use so they can relax, get enough rest and care for their personal life instead of chasing flaws in grand systems that take away too much of their energy. Their profession is meant to inspire and guide them, leaving enough room for their personal life to develop in purity of emotion. Frustration should be turned to motivation, as well as anger, and the strong push forwards will come when they stop limiting their own energies to fit norms of the outer world. "A Group of Immigrants as They Fulfill the Requirements of Entrance into the New Country"
Foreign and different individuals and cultures intertwine with lives of those born on this date, as if they are meant to meet many extremes to see the humane approach to equality among us. They are humanitarians of sorts, in need of open horizons that explain the diversity of the world and leave their own options open. They aren’t meant to stay stuck in one place, holding on to beliefs that their approach to life, religion or heritage is better than anyone else's. It is smart that these individuals travel to distant countries, meet different customs, and open new horizons in ways that allow them to breath and expand in a supportive pace. The purpose in lives of people born on December 14th is found in the essence of Mars, meaning they are to find a physical way to make solid steps and ground their ideas with an open heart. They need their mind cleansed of excess information, their emotional world ready to attract circumstances that make them free to create, and their body strong enough to handle high frequencies of thoughts that truly inspire them. In need of powerful grounding, strength and solid boundaries towards those who bruise them in any way, they are to clearly distinguish their personal world of goals from those of other people. 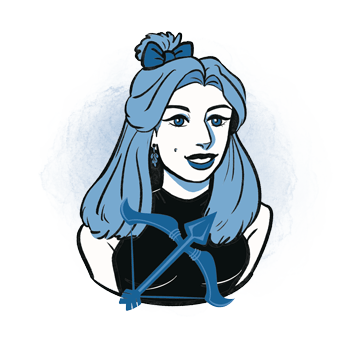 When Sagittarius representatives born on December 14th fall in love, they easily fall into the loop of ancestral emotional issues that have yet to be resolved. They could have an unexplainable resistance towards intimate connections, or stay in long-term bonds that aren’t as fulfilling as they’d like them to be. Whatever the case, something seems to stand in the way of intimacy and love stories they wish to live through, and while strong structures might give an excellent potential for happy married life and deep commitment, they need to overcome obstacles left for them to resolve. These issues will be seen in relationships between parents or grandparents that seem to push something to repeat in their own life as well. Some of them might feel cursed at times, especially if the same sad love story repeats one too many times as if they cannot learn the lesson served on their platter. It is important that they turn inwards, meditate, relax their body, and instead of seeking outer solutions look into their heart, seeing what is the exact message that the person in front of them is trying to teach. Once they understand their heart's truth, obstacles will be overcome and they will reach the potential to connect with a special individual on a deeply emotional level. A person born on the 14th of December is an excellent architect, planner and historian, willing to travel a long road only to dig up the truth about distant times that posed as the foundation for the life we live today. They are curious and won’t give up at first sign of trouble, usually turning to fields of expertise that set up roots and a foundation for a well-structured future for themselves or those around them. Novaculite is a good choice of stone for those born on December 14th, helping them cut ties to the past and issues that became obsolete and no longer serve personal growth. This is a crystal known to enhance one's intuition, getting them in touch with the higher truth they are meant to pursue instead of holding on to relationships and issues in life that won’t let them make progress. It helps problem solving and refines their life force energy. A birthday gift for those born on November 14th should come on time, with respect for the tradition and things they expect every year. Even though they don’t seem rigid of stuck in repetition, they appreciate a sense of security coming from close contacts, and wish their special dates and occasions respected and appreciated. They are modest and love presents in general, finding joy in simple and practical gifts, for as long as they have a childlike imprint and something to spark their curiosity. Boost problem solving, buy a video console, bring a gadget they are to assemble from scratch, or choose a detailed piece of equipment for their creative side, such as a new lens for their camera that they just realized they wish for. Organized, reliable and respectful of people they care for, they are stable and active, always there for those who need a hand. Ambitious and seeking special professional opportunities, they can create healthy boundaries and understand balance between their career and personal life. Stiff in their beliefs, they get stuck and repeat the same mistakes many times, seeing confirmation to negative beliefs in their circumstances rather than learning to move on. In 1546 Tycho Brahe (Tyge Ottesen Brahe) was born, a Danish astronomer, astrologer and "alchemist" known for his accurate planetary and astronomical observation. He has been described as the first competent mind in astronomy of his time, with an intense passion for exact empirical facts. In 1946 Patty Duke was born, an American actress who won an Academy Award in the 1962 for her role in The Miracle Worker. Her private life brought her much attention and she was diagnosed with a bipolar disorder that led to some extreme choices in her lifetime. In 1946 Michael Ovitz was born, an American businessman and investor, known as a talent agent who co-founded Creative Artists Agency and served as the chairman for 20 years. He has donated millions to charity, especially for the field of medicine. 1782 – An unmanned test hot air balloon is tested for the first time in France. 1902 – The first Pacific telegraph cable is laid, running from San Francisco to Honolulu. 1911 – The first team reaches the South Pole. 1918 – General election in the UK, the first where women were allowed to vote. 1940 – The first time that Plutonium (Pu-238) is isolated. 1962 – The first time that a spacecraft flies by Venus.